My Creative Time: U R AMAZING! Card & a special Guest today! GOOD MORNING my creative friends! Today I have a "CAS" card for you! For those of you who don't know what a "CAS" card is, well ( I just found out myself not too long ago) it is a "Clean and Simple" card! I thought this was a PERFECT card to make since Father's day is this weekend! I only used 3 items & I just LOVE how it came out! 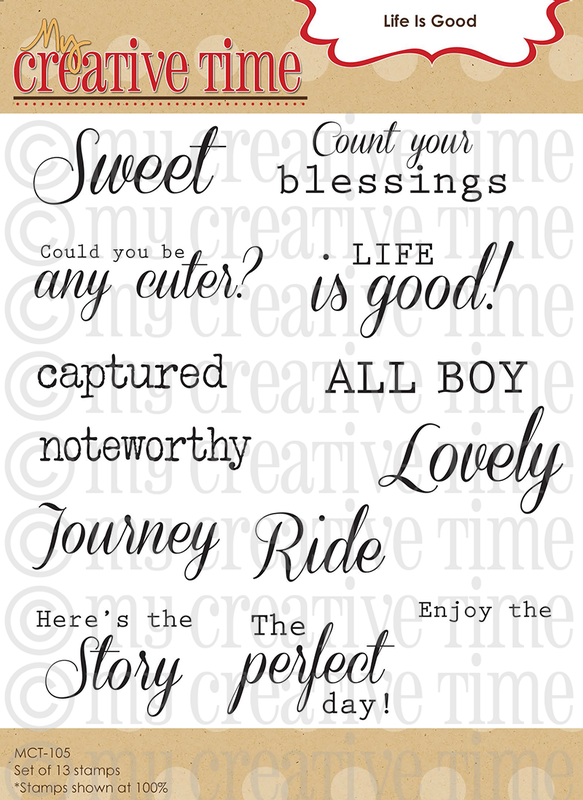 It is a simple 3x3 cards which I LOVE because 3x3 cards can be made so quickly & they are just as cute! IF you do mail them, I would just put your little card into a regular A2 size card, THEN mail it off! I don't think the post office accepts the 3x3 envelopes to mail off! You can see the supplies I used below. Okay, now onto my AMAZING Guest designer today! I am sure you ALL remember the OH SO VERY TALENTED, Mr. Trell, right? He has been so busy working & I am HAPPY that he was able to do this today! 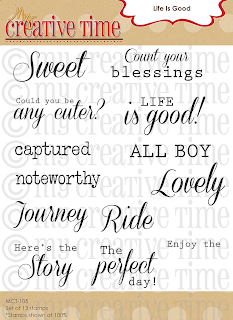 ;) Here is a "hint" of his card & trust me, it is BEAUTIFUL! He used "Floral Sentiments", "Journal it" & the "Stitched Journal Die"! 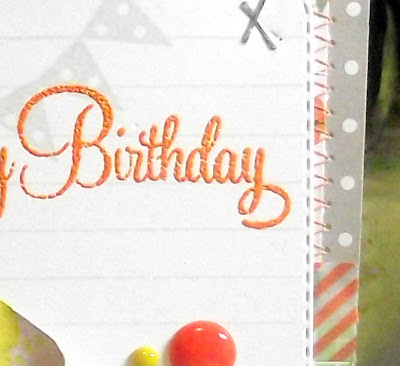 Go ahead & head on over to his blog to see this PRETTY card in it's entirety & he also is sharing a GREAT technique as well! 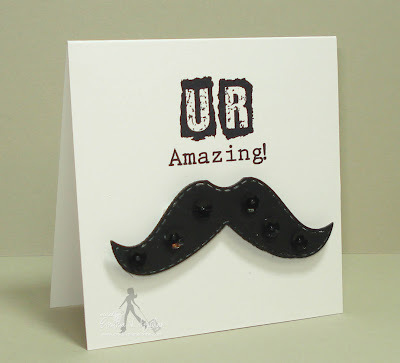 Great CAS card, love the mustache on the card! 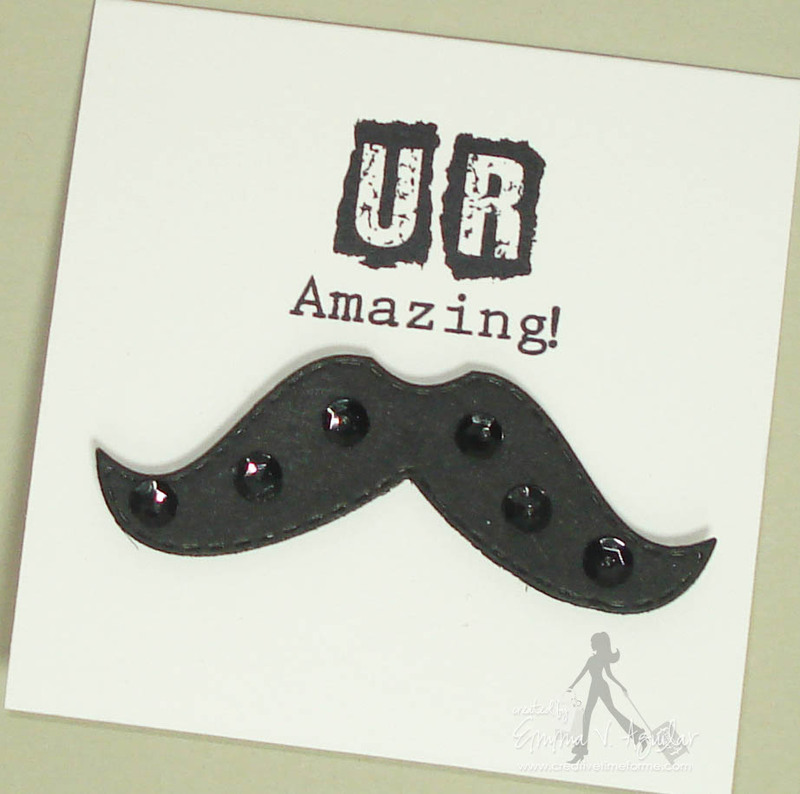 A Fantastic & Fun card!! Sweet and simple card...the sequins are cute. Trell did an awesome job on his card also. Oh Emma your card is so cool! I didn't know what a CAS was until now so they say one should learn something new everyday so her I go ... yea!!! Love your stash very very cool. Wonderful CAS card. Post offices will allow the square envelopes; however you pay more since the envelope is not a rectangle. Reason is because the envelope has to be handled manually; cannot go thru the machines that handle the rectangle envelopes. When I worked at Hallmark one line of cards, the cards with sound/music had square envelopes and they had the printed words 'extra postage required' on outside. Super cool Emma, awesome guest designer!